This was SJGR's first visit to this private home in Upper Pittsgrove NJ. We were called in to substantiate reports of unexplainable odors, audio phenomena, and physical manipulation of objects and doors. During the course of the investigation, investigators sensed the presence of two spirits, at least one a female. The spirit of a medium-sized dog was also sensed moving about that main floor of the home. One investigator reported hearing voices in the Kitchen, and multiple investigators reported feeling energy along the stairs. 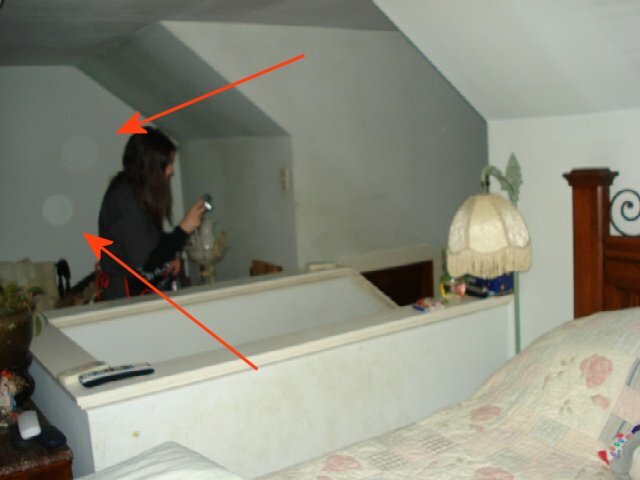 The physical evidence collected consisted of 9 EVP and 25 positive photos. Only 4% of positive photos obtained falls within the normal range, which doesn't factor into the overall evidence, but several video clips showing orb activity was also recorded. The four motion sensor readings were recorded during this investigation are highly significant evidence. 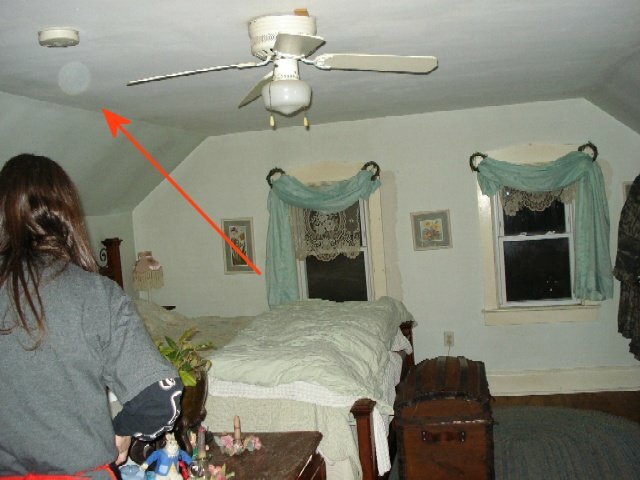 10:44pm - Investigator Bown took this photo in the Master Bedroom after Investigator Pawlowski reported a drain in battery power in her digital camera. 10:57pm - Investigator Bown took this photo after Investigator Pawlowski reported feeling cold in the Master Bedroom.